"The ideas which the authors -- the banker, the chemist, and the Classicist -- brought forth have been largely unchallenged and ignored by specialists in the culture of ancient and classical Greece. The situation seems to fulfill the rule of thumb that when ideas are controversial they are discussed, when they are revolutionary, they are ignored." "Here is an important book that has not received, so far, the attention it deserves, and I am very glad that a new expanded edition is now available. The real breakthrough is the discovery of Albert Hofmann, the distinguished Swiss chemist who gave the world LSD, only to have his "child of sorrows" rejected. He establishes beyond the shadow of a doubt I think, that the drink served during the initiation rites at the Eleusinian Mysteries contained ergot. This -- and no theatrical effects, as often assumed -- fully accounts for the marvelous visions of another world that made this religious experience so unique. 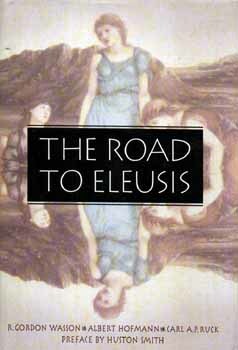 This book opens up new perspectives for all serious students of the Classics and ancient culture." -- Georg Luck, Professor of Classics, Emeritus, Johns Hopkins University. "This interpretation seems to solve the Mystery at last... The solution here offered by Wasson, Hofmann and Ruck is simple and elegant, like all good solutions, and leads us to wonder why it hadn't been hit upon sooner... Thanks to Wasson's perspicacity, we have here yet another astonishing chapter in the history of ethnomycology which for the first time places the sacred mushroom in our own cultural past..."